Gavin Graham is a geologist by background, educated in Edinburgh and at Cambridge University and has nearly 40 years of experience in the oil and gas industry. He worked for 29 years with Shell and 6 years with Petrofac, in a variety of technical, commercial and leadership positions. Most recently, he held the role of CEO of LOTOS Upstream, the upstream arm of Polish state company Grupa LOTOS, from where he retired at the end of 2018 to take on a portfolio of advisory and non-executive positions. 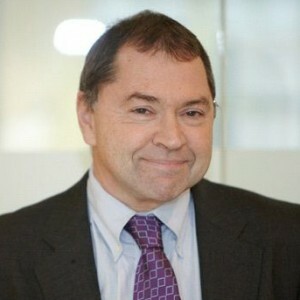 After joining Shell as a Geologist/Geophysicist, Gavin worked predominantly in the exploration and production world, initially as an explorer in Oman, the North Sea and SE Asia, and latterly as Vice President Commercial & Business Development for the Middle East and Caspian regions, leading successful projects in Kazakhstan, Iran, Iraq and Kuwait. Gavin joined Polish state company Grupa LOTOS in 2017 and, as Chief Executive Officer of LOTOS Upstream, co-ordinated the start-up of a new 20,000 boe/d company, which has producing assets, development projects and exploration activity in Norway, Poland and Lithuania. Following his retirement from LOTOS, Gavin is now a Non-Executive Director of Echo Energy, an AIM-listed exploration company with assets in Argentina and Bolivia, and has taken up advisory roles with an international investment bank and the Windsor Energy Group. Gavin is a regular keynote speaker at oil & gas conferences, has lectured widely on trends and developments in the energy sector and is currently on the Management Committee of Access for Women in Energy.